derive general lessons for evidence-based and thus "good" policy-making in the field of gender equality within RTDI systems. This means that not only has progress towards more gender equality in RTDI been achieved, but also that RTDI has been able to benefit from this progress through enhanced scientific and innovation outputs and productivity, as well as through a higher responsiveness to societal needs and challenges. The EFFORTI consortium consist of six partners representing a wide range of different institutional types; namely contract research organizations (Fraunhofer Society, Joanneum Research), universities (University of Catalunya, University of Aarhus), a NGO Association of Hungarian Women in Science - NaTE) and a company (Intrasoft), distributed all over Europe (Germany, Austria, Spain, Denmark, Hungary, Luxembourg). All partners have a longstanding experience in the fields of RTDI policies and/or gender equality policies in RTDI. The team members have very distinct scientific and professional backgrounds (sociology, political science, economy, biology, medicine, business management, mathematics, computing and statistics, philosophy, anthropology, science and technology studies, higher education studies), ensuring interdisciplinarity as well as a diversity of thoughts and approaches. smart combination of gender equality and RTDI indicators by going beyond the state of the art in measuring gender equality and RTDI performances. A thorough contextual analysis of evaluated measures and their outputs and impacts on the national and organizational level. Hence, EFFORTI aims to measure the progress in the area of gender equality and RTDI policy, including the stock taking and further development of tools, methods and criteria to evaluate gender equality measures in the national RTDI systems. The latter will comprise the development of a robust set of guidelines that may be used at all relevant policy levels (EU, national, regional) in Europe and correspond to different policy phases (design, implementation, monitoring, evaluation, etc.). 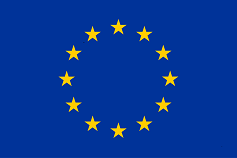 The ultimate aim of EFFORTI is to contribute to better GE policy across Europe by analysing a broad range of different GE policy measures with regard to their impacts on research, innovation, competitiveness, but also the solution of Grand Challenges and the promotion of responsible research and innovation (RRI). 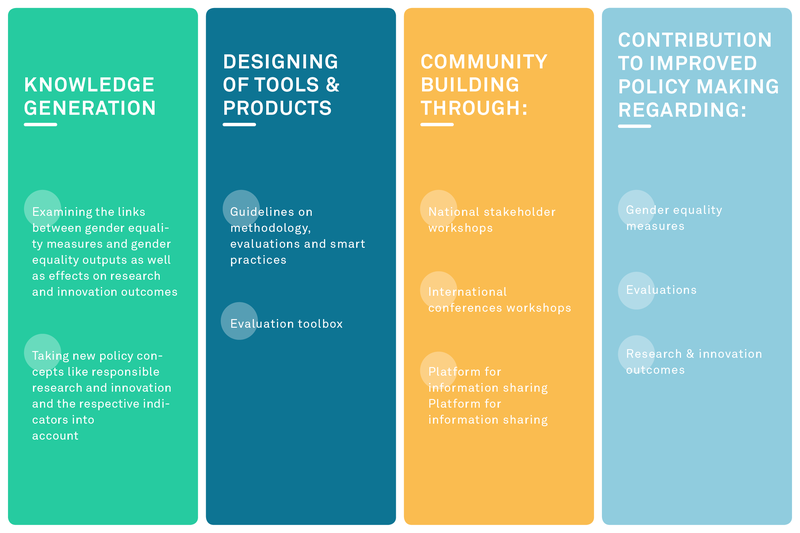 EFFORTI will assist transnational policy learning through various means of integrating stakeholders from different fields like policy-makers, evaluators, science managers and disseminating results via on-line and off-line means ("community building"). It is our goal to also introduce the results into the national debate on gender equality. In providing systematic knowledge on practices and quality and lessons on "good" gender equality policy within the respective national RTDI systems, EFFORTI will act as a catalyst for the development towards an improved equality culture in Europe and subsequently improved RTDI and GE policies across the continent. As EFFORTI will systematically monitor and assess existing appraisal exercises and policy measures and contribute to their further development, it will be a learning tool for policy-makers, programme managers, science managers but also evaluators in order to improve their policies, strategies and evaluation methodologies. To sum up: The EFFORTI project will contribute to a better understanding of the impacts of current gender equality initiatives, from the science-management and policy-making perspectives. In the medium term, it will help adapt gender equality initiatives and increase their efficacy, leading to an improved research intensity, productivity and responsibility and furthering the progress towards the achievement of the European Research Area. The findings will help to convince companies, HEIs, RPOs, RFOs and policy-makers to promote gender equality in RTDI systems through structural change measures to reduce the loss of female talent and to assure women as well as men that their talents and skills are needed to foster creativity, research and innovation in research teams and organizations. Furthermore, it will provide evidence of good practice but also concepts and tools for monitoring and evaluating gender equality measures and their effects on RTDI. Specifically, EFFORTI aims to build and consolidate a community of experts and stakeholders on the assessment of GE measures and their further development, to constitute a platform for sharing information, data, experiences and expertise, to further existing knowledge by developing new approaches, methodologies and tools, and to facilitate cross-national discussion and cooperation.